An answer for those who ask about having a mains water booster pump. 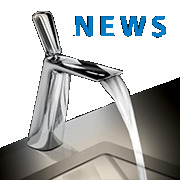 For many years for those who don’t have enough water pressure, it has been found that most people can’t find an answer. There’s so many out there that fit pumps against plumbing regulations, but until recently there is a pump that can be fitted and is Wras approved. Just below are some questions asked and also answered. Can I use a pump on my mains water supply to boost my water? Is using a booster pump aloud on the mains water supply? I have poor water supply, how can I get more water pressure? How do I get better water pressure into my home? My taps are running very poorly, how can I make them better? My shower is run by mains water, can I use a pump? I Have Poor Combi Boiler Pressure, what can I do? What is the Guarantee on the Home water booster pump by Salamander? Can I fit a water booster directly before the combo boiler? How much extra water can my booster pump give me? Is having a booster pump installed on my water main against regulations? Where can I fit a water booster pump? How do I know if the water booster pump is working? How do I contact PumpWise Technical Helpline? Where can I buy a booster pump for my mains water supply? Having a mains water booster pump, does it effect the property next door? Can a booster pump work on all type of combination boilers? Is the Salamander Booster Pump within WRAS regulations? 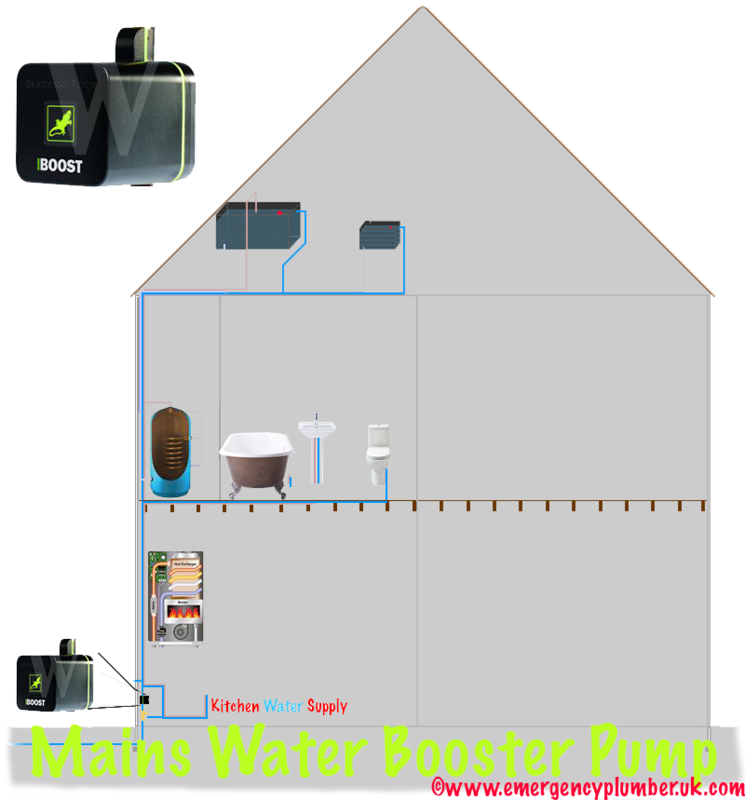 If the flow rate going into the property is between 1.5 and 12l/min then the Homeboost can be used to uplift that flow rate up to 12l/min so long as there isn’t a collapsed or restricted mains water pipe. Yes, the Water Regulations state that you can pump from the mains so long as there are safeguards in place so that 12l/min is not exceeded. As always, check with your local water authority. The pump is fully WRAS approved. Please see answer above. However, if more than 12l/min are required and generally a higher-pressure than 1.5bar, then a break tank and set of booster pumps may need to be installed. If you have low flow rate through the taps, it would be worth installing the Homeboost to increase this. This will uplift the flow rate up to 12l/min. The Homeboost will work on electric showers as they usually require about 8-12l/min to operate properly which is within the range the pump will work through. Obviously, the hotter you turn the shower, the slower the water flow will be. The pressure on a combi boiler gauge is for the sealed heating system – the Homeboost will be fine to fill the heating system up to the required pressure. The mains going through the boiler will determine the hot water flow and pressure through an outlet. The pump can be installed just after the stop tap or on the inlet to the combi. This depends on what the incoming flow rate is at the moment. 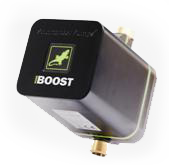 The lower the flow rate the more the Homeboost will lift it. For example if you have 3l/min the pump will increase this by 9l/min. No, the Homeboost is WRAS approved and you are allowed to pump directly from the mains water, so long as there are safeguards in place to prevent more than 12l/min being drawn. The Pump is intelligent and will sense the amount of water traveling through it and self-modulate. The pump can be within 2m of the incoming stoptap or on the cold water inlet to a combi boiler. Having a mains water booster pump does not affect the water pressure next door and if this does become a problem then it is best to call the local water board for your area or the other property may benefit from a pump. THe home boost will work on most boilers up to 12 l/min and will still work on boilers higher rated than this but they will not operate at full potential – It depends on the Combi what the minimum flow rate is to fire up the hot water – for example: Potterton Gold HE will fire at 2-2.5l/min. The lights will go from a steady dim light to slow clockwise then to fast clockwise. If needed – If there is a diagonal flash, then there is sufficient flow rate without the pump – don’t estimate the flow rate – use a litre jug – see how much flow in 10 seconds and multiply by 6 for l/min. If your finding it difficult to contact PumpWise then the contact number you may require is 01915162002. You should be able to buy a booster pump from most plumbing merchants. If you want any recommendations you can find them in Screwfix, Plumb Centre, Plumbase, Travis Perkins or just make a search on the internet for Salamander Booster Pump. A similar question as answer above, you can fit a booster pump as long as instructions are followed and applies with current standards. Yes the Salamander Booster pump is within WRAS regulations and has been since March 2013. It has full WRAS approval. It will come with a two year warranty as long as fitted in accordance with the manufacturer’s instructions.